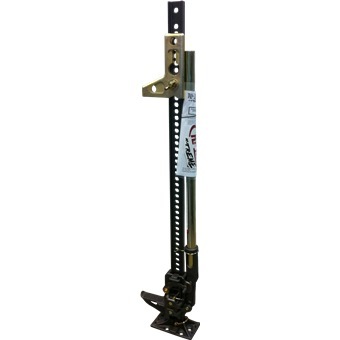 Unique Winch-Clamp-Spreader Attachment is gold zinc-coated to ensure resistance to rust. Cut-out wedge for gripping when spreading. 3/8"chain slot for easy,secure winching and quick slack adjustment. Quick-release pin for easy removal of foot piece.